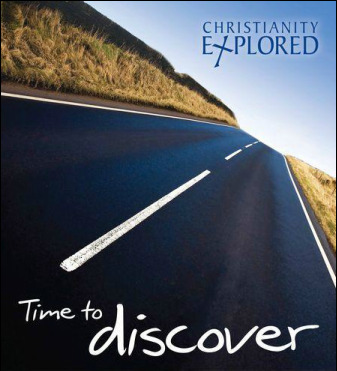 Christianity Explored gives people time and space to think about the big questions of life and to explore the life of the person at the heart of the Christian faith, Jesus Christ. Let the Gospel tell the gospel! Over 5 weeks, guests journey through the Gospel of Mark exploring the identity, mission and call of Jesus – who he is, why he came and what it means to follow him. There is plenty of time to ask questions and discuss the claims of Jesus and their implications for our lives. Christianity Explored is a relaxed and informal way of introducing you to Jesus for the first time, and it can also be useful for anyone wanting to brush up on the basics of the Christian faith too. The basic structure of each session is simple: we meet informally wherever you feel comfortable, we look at God's word using DVD clips and then we chat about it, with refreshments of course!